Welcome to our guide to developments in Virginia Beach condos. Popular for vacation rentals or for year-round living, these luxury homes are spacious and well-located. 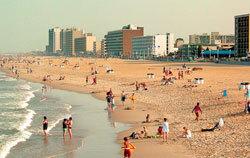 Browse the Virginia Beach condominiums for your dream place at the ocean. 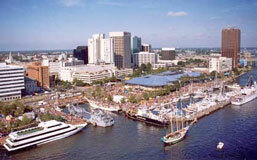 Virginia Beach condo rentals are a favorite of families visiting the beach. There's so much room, and the kitchen is convenient. Condos have more variety and personality than hotels too. The Old Beach Village condos are just a few blocks from the beach in the main resort strip at the Virginia Beach ocenfront (Baltic Ave and 30th Street). Choose from trendy lofts or traditional flats. Walk to grocery stores, other shopping, and restaurants. Oceans Condominium is a 21-story condo tower on the upscale North End of Virginia Beach (4004 Atlantic Avenue). It was built in 1975 but what it lacks in newness it makes up for in location and resort-style amenities like two pools, cabanas, and tennis court. Doorman and 24-hour security. Secure parking. Condos in Sandbridge area of Virginia Beach are far from the bustle of the tourist beach. They're also far from restaurants and other amenities. But they're close to the Back Bay Wildlife Refuge and False Cape State Park. The Sanctuary at False Cape is an oceanfront condo real estate development in the Virginia Beach's Sandbridge area of Virginia Beach. It's available for sale or rental. For something completely different, try the Westin Residences at Town Center, a luxury high-rise condominium in Virginia Beach's Town Center. Amenities include nine-foot ceilings, balconies, covered parking, swimming pool, spa, health club, and room service. Walk to work, shopping, theater, and restaurants.